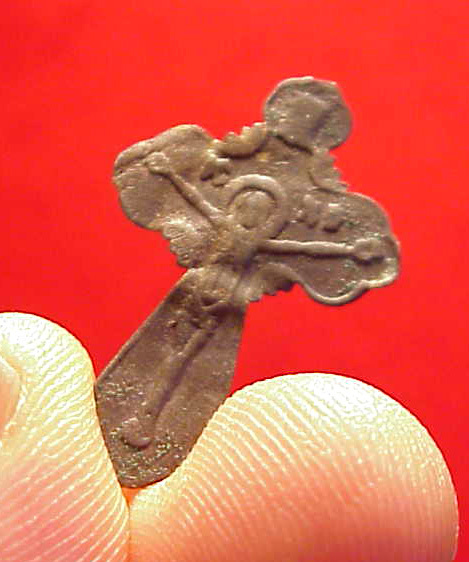 This is a thin bronze crucifix dug in Stafford County VA at a camp occupied by a New York regiment. 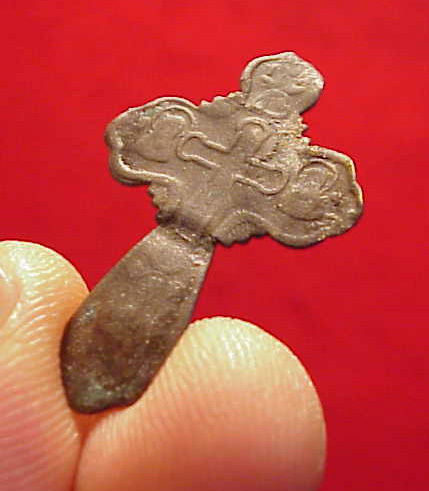 Other crucifixes found at site suggest this is from discarded or lost sutler's stock. 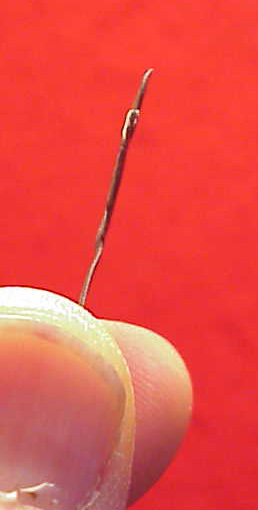 About 1 3/16 inches tall. No loop.